Princess Sofia and Amber is preparing for the Christmas party. Sofia loves the glamorous and sparkly style, while Amber likes to dress in a cute and adorable way. Could you give them a Christmas makeover? 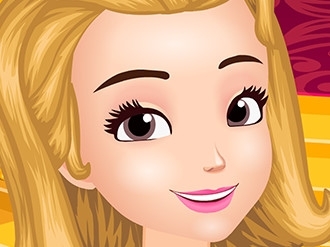 Play free game Amberialites on bestgames.pk. 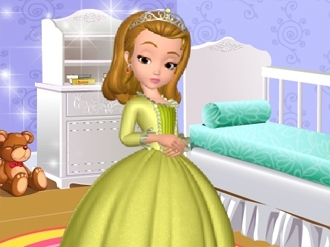 Sofia and Amber are in competition for the most elegant princess of the kingdom. Each must demonstrate that her dresses and accessories are the most beautiful. Amber is jealous because Sofia is always in the center attention, and Amber wants to win this contest by destroying Sofia's wardrobe . Who deserves to win this contest? Sofia and Amber are the main protagonists of a fashion contest, where are invited all the princesses of the kingdom. 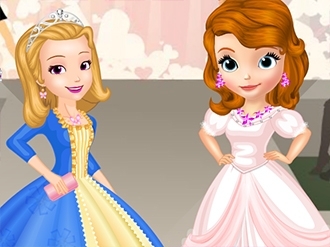 The two beautiful princesses need your advice, to take the most suitable clothes for this contest. After choosing clothes and accessories, Amber and Sofia will go on stage and receive the notes from the jury. May the the prettiest princess to win the contest!